In 2010, the University’s water polo club was at the end of an era. Its then-captain, a fourth-year named Arcadia Paine (A.B. '11), was one of only a handful of regulars who showed up to practice. The club owed $600 to the Collegiate Water Polo Association, couldn’t scrounge up enough players to even scrimmage, and competed infrequently. Its turnaround has been equal parts drastic and rapid. That core group, most of whom are now third- and fourth-years, has seen the club’s regular membership grow to around two dozen. The squad is back in the CWPA, hasn’t lost a match since December, and even hosted its own tournament, Waterpalooza, last month. The squad has just about every level of experience accounted for. Several players competed in high school, while others are ex-swimmers and “complete guppies,” as Gutwein put it. The team is led by a pair of psuedo-coaches, Vicko Gluncic and Geritt Adams. Gluncic, an anesthesiologist, is an alumnus and a former Croatian professional. He came into the fold during the 2011–2012 school year. Adams, a Booth student who joined the squad this year, earned All-American honors while at Brown before playing professionally in Australia. Gluncic and Adams have been a big part of the squad’s resurgence, both with their experience and with the greater focus they’ve brought to the Maroons’ practices. Their first tournament of the year—a CWPA league meet in Ohio the weekend before fall classes began—saw the team pull out a seventh place finish in its Great Lakes Division, despite not having any time to practice together. After finishing 1–3 at a tournament hosted by Northwestern during winter quarter, the club has come back in a big way. 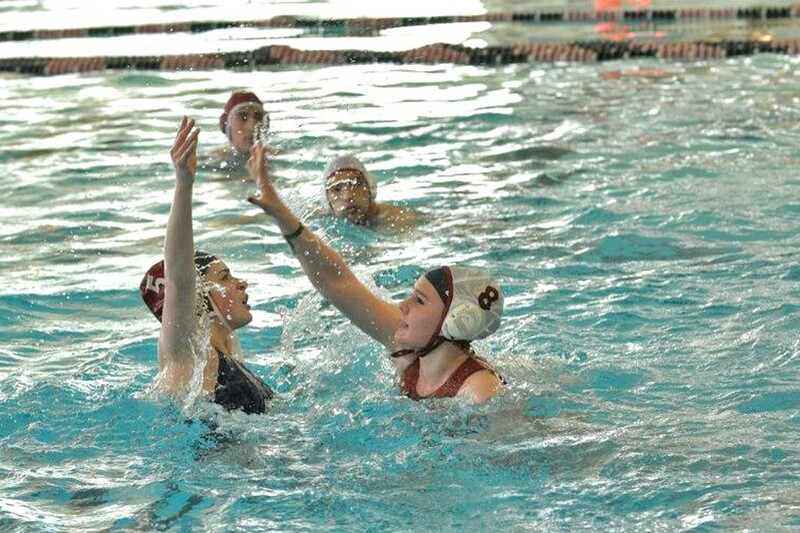 The Maroons have won five straight games against Midwest competition, taking a close exhibition against IIT, winning all three of their matches at Waterpalooza, and polishing off their season with an 18–7 nail-biter against Lake Forest. Those results came with a fairly rotating cast. The team holds open practices; anybody can show up to twice-weekly practices in Ratner’s Myers-McLoraine Swimming pool. Players can show up as often or as infrequently as they like, and the team decides together on playing time “by consensus,” Kuhn said, based on who’s been showing up. “It’s a pretty laid-back attitude, but you do have to buy into a few things,” first-year Joey Zhou said. With its recent growth in mind, the team has high hopes for next year. The team believes that this is the first year the University has actually hosted water polo games, and they’re applying to be the venue for next year’s CWPA tournament. Gutwein and Kuhn think the team can finish in the top half of its league next year, with an eye on nationals. Having started from almost a blank slate, the squad has steadily cleared hurdle after logistical hurdle to get where it is. For the first time, the team has suits and caps for all its members and is working on getting everything Chicago needs to host matches, like game clocks, goals, and shot clocks. UChicago water polo “feels like a new thing,” Kuhn said, but the team is looking to make sure that this time, the sport sticks. “We’re putting a lot of effort to make sure we get underclassmen involved, to see some institutional memory,” he said. The team wraps up its season with an in-house scrimmage on June 2.